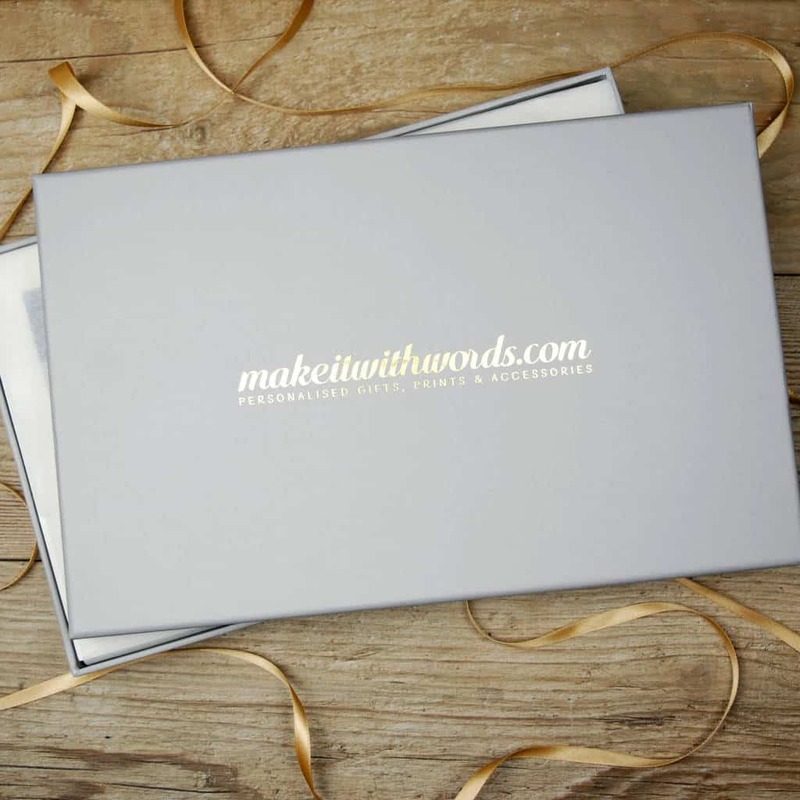 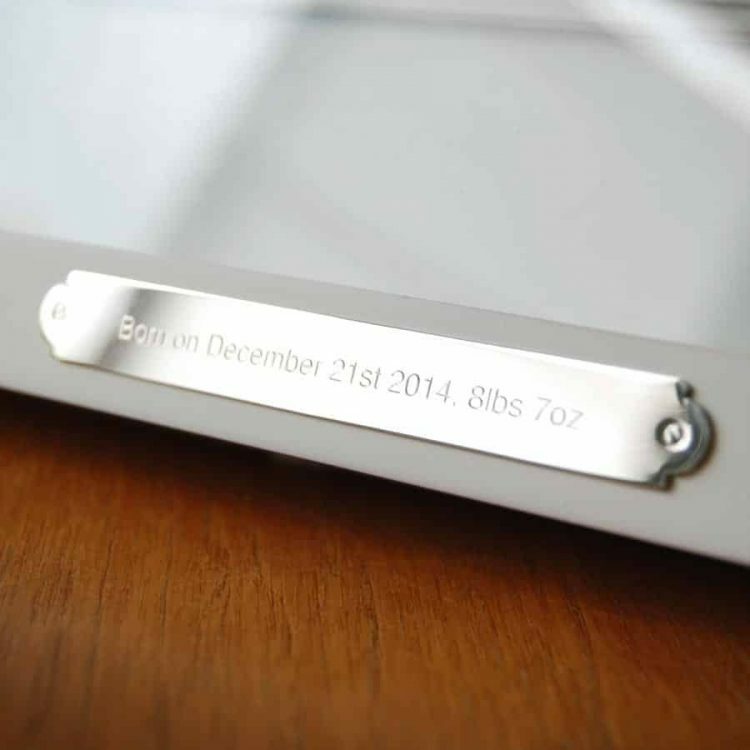 Create a stunning baby gift, Christening gift or birthday gift for a special boy or girl. 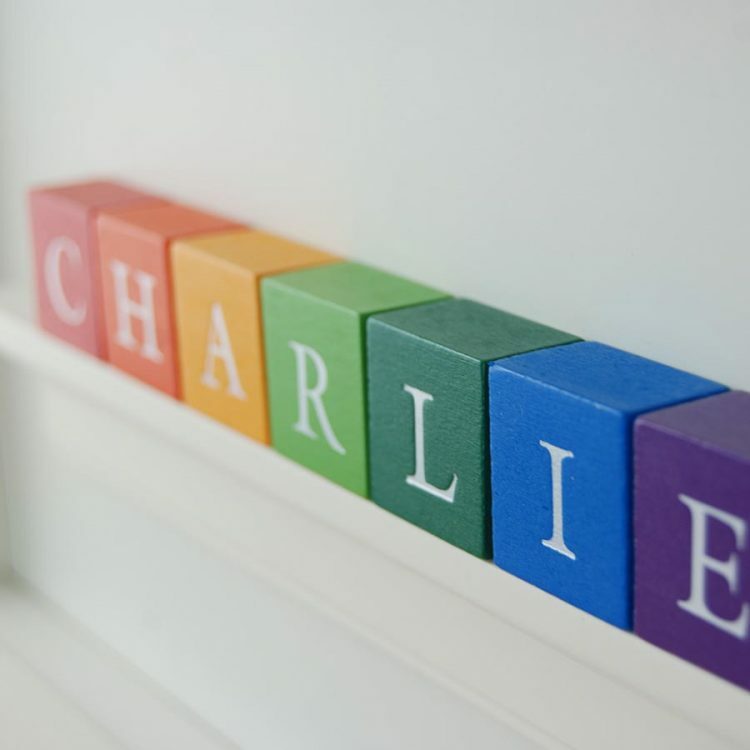 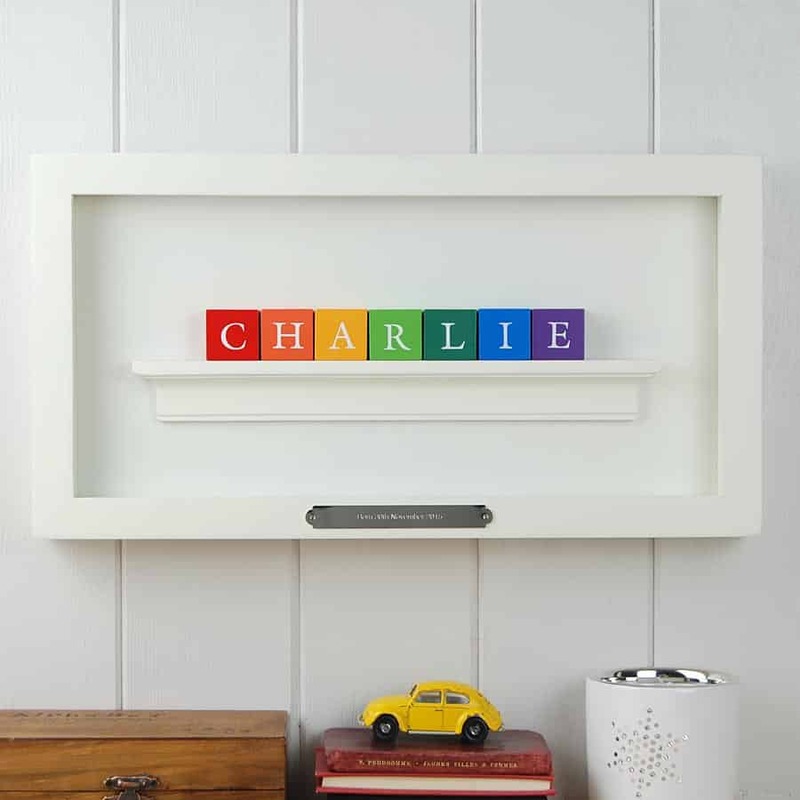 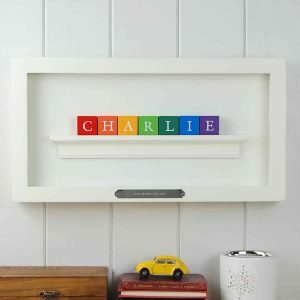 Hand stamped miniature alphabet blocks featuring the child’s name mounted in a matt white frame. You can personalise this gift further by adding the time, date of birth, Christening date or any personal message of your choice to the engraving plaque which will be attached to the front of the frame. 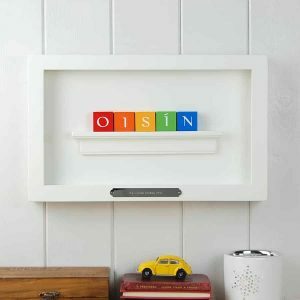 Our miniature alphabet blocks are available in classic or old Irish lettering. 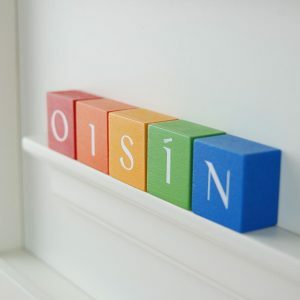 For fadas, or any other accents please specify in Notes box on checkout page or you can type them in.